Yes, it of the instantly rusting Pony, the company that parlayed the bargain basement Accent into a Korean onslaught that the American and Japanese giants could not forestall. Yes, that Hyundai. Imagine the derision you would have faced if, say 25 years ago, you had dared predict that the fate, nay, the very existence, of the once-quintessential luxury sedan powertrain was in the hands of a South Korean automaker whose very raison d’etre is serving the proletariat? And, yet, it may be so. Mercedes-Benz has gone all turbo. Ditto BMW and Audi. Jaguar has also dropped the non-supercharged version of its AJ-V8 in favour of a smaller-displacement supercharged V6. The reason is always the same, namely that the once-classic engine format is unable to meet the latest Natural Resources Canada fuel economy dictates while providing the performance luxury intenders still want. 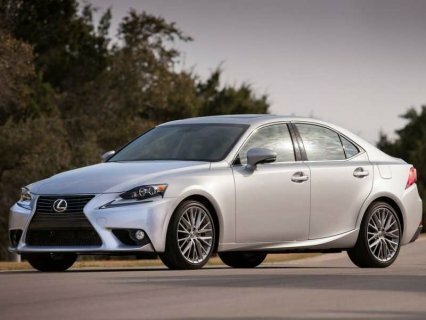 Other than Hyundai, only Lexus and Porsche persist with normally aspirated V8s in their large luxury sedans. But, then, no one has actually ever seen an LS 460 out of captivity, the new GS F is more sport sedan than luxury and the only Panamera with a non-turbo V8 is the rarer-than-hen’s-teeth GTS. One could get technical, I suppose, and note that Infiniti’s QX80 and Cadillac’s Escalade are also luxurious and V8-powered, but they’re, well, trucks. Whatever the case, the traditional V8 is on its way out and it really is a little more than ironic that Hyundai is one of its final proponents. Yet, for all that outrage Fowler considered so necessary to proffer an effective double entendre, the ultimate irony is that this classic engine layout is in surprisingly capable hands. You — the pretentious for whom anything lacking a German pedigree is not worthy of a test drive — can roll your eyes all you like, but the 5.0-litre V8 powering the latest all-wheel-driven version of Hyundai’s Genesis sedan is more than capable of representing. This V8 — codenamed Tau — boasts all the bells and whistles — double overhead cams, four valves feeding each and every piston, variable valve timing on both intake and exhaust camshafts and, as the latest party trick in Hyundai’s technological portfolio, direct gas injection. It makes a buttery smooth 420 horsepower at 6, 000 rpm and some 383 pound-feet of torque at 5, 000. That might not sound like much compared with the 560- and 577-hp ratings from Audi’s RS7 and Mercedes-Benz’s E 63 AMG, but compared with the more pedestrian iterations of those same turbo V8s — 450 hp in the S7 and 402 in Mercedes’ E 550 — the 5.0L is plenty powerful, even if the car it has to motivate weighs in at a considerable 2, 126 kilograms. Indeed, Hyundai says the combination of five litres of powerful V8 and an eight-speed transmission is good enough to accelerate the AWD Genesis to 100 kilometres in 5.6 seconds, quick enough in anyone’s book. PHOTO JIGSAW PUZZLE This Photo Puzzle features a cropped image of Poster advertising Holland America Line chosen by Mary Evans. Estimated image size 356x254mm. Artwork Description Poster advertising Royal Mail Line Cruises to Norway Poster advertising Royal Mail Line Cruises to Norway. 20th century.